How Were You Blessed this Year? 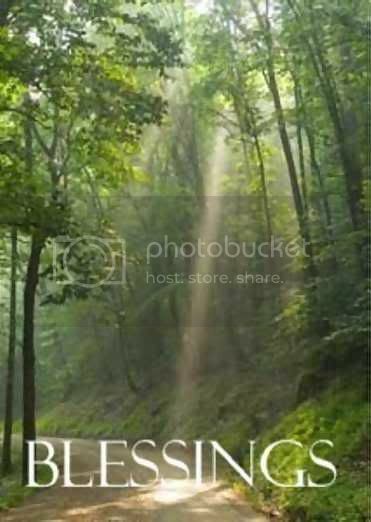 Home \ Blog \ E-News \ How Were You Blessed this Year? With the economy slow to recover and the elections recently behind us, blessings are just not getting any press time. Sometimes we need to be encouraged to think about the ways that we have been blessed. Before you can be thankful, you need to be “thinkful.” (My new word: Spell Check didn’t know it either.) Without pausing to think about our blessings, it’s not possible to be truly thankful. If you are reading this, you have the blessing of eyesight that my friend Linda Woodbury doesn’t have. We each have so many blessings and among them are the ability to see, to hear, to taste, to feel, to move, to laugh and to love. These were gifts to most all of us on the day that we were born. These most precious blessings can’t be bought or earned, that’s why we call them gifts. Being born in the United States of America is a blessing. To live in a country where you can worship God as you chose and use your bright idea to start your own business are blessings that aren’t options everywhere in the world. Be glad that you are here! As you work on your personal list of blessings, I hope that it is long and meaningful.